Revivals broke out under Finney’s fervent preaching all across New York State, Pennsylvania, Massachusetts, Ohio, and in other states, as he appealed to men to respond to the grace of God in repentance and faith. Finney described one particular meeting near Antwerp, New York in these words: “An awful solemnity seemed to settle upon the people; the congregation began to fall from their seats in every direction and cry for mercy. If I had a sword in each hand, I could not have cut them down as fast as they fell. I was obliged to stop preaching.” Hundreds of thousands were swept into the Kingdom of God across the United States. Actually revivals were breaking out on both sides of the Atlantic – not only in the United States, but also in Europe. Oh Lord, You see the need in our land for revival! We have wandered far from You in our moral degeneracy and waywardness. And we cry out to You to sweep across our land in great conviction and in a wave of repentance and saving faith! In Jesus’ dear name! Amen! It is always God’s desire to save the lost, and to revive the hearts of His people with a fresh outpouring of His Holy Spirit. 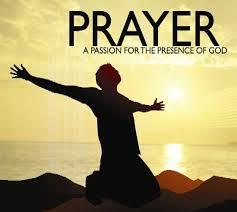 But, He amazingly looks to His people to cooperate with Him in prayer, petition and praise to accomplish His purposes. Ponder Hosea 10:12. Sow righteousness for yourselves, reap the fruit of unfailing love, and break up your unplowed ground; for it is time to seek the Lord, until he comes and showers his righteousness on you. Hosea stresses the importance of heart-preparation in preparing for the rain from heaven. We are admonished to “plow up” the soil of our hearts, and to seek the Lord until He comes. A man of God once wrote “The prepared heart becomes the praying heart that prevails with God.” Lord make my heart tender that your intercessions may be on my lips! Pour out Your Spirit! Your Word into my heart is like the flow of a refreshing river. Just when I feel as if I’m all “dried up”, Your Word refreshes, revives, and restores my soul. Give me a greater hunger for Your Word, and Holy Spirit, open my mind that I may understand the Scriptures. (Prayerfully meditate on Psalm 19) Thank you that Your Word and Your Spirit is always “more than enough”to saturate my parched soul. Today, I pray that Your Word will be powerfully proclaimed in my life, in my family, and into this nation.